It was announced this week that 3 time Isle of Man TT winner Adrian Archibald has retired from road racing. For me one of Adrian’s best rides on roads circuits was at the TT in the 2003 senior TT race which saw Adrian win for the TAS Suzuki in front of John Mcguinness in second place whilst Ian Lougher finished in third place. Throughout Adrian’s road racing career one of the things that made him standout from lots of other riders was his trademark smooth riding style. This was evident to me at the Ian Watson spring cup road races in 2012 where Adrian finished second only just behind Steve Mercer. Since 2008 Adrian has been running his own road racing team AMA racing and in that time it has seen Adrian take a podium finish in the superbike TT race of 2008 alongside consolidating his place as one of road racings top riders. 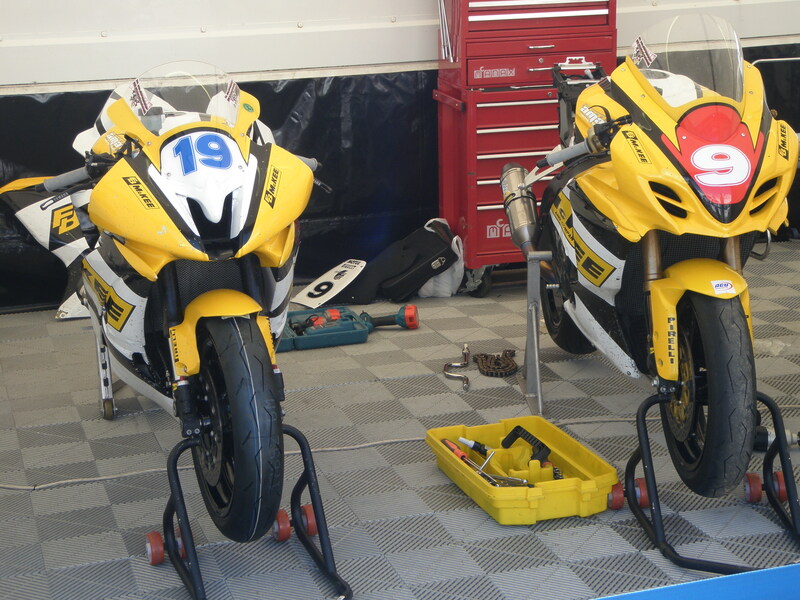 Pictured here is Adrian’s AMA racing team bikes from the Isle of Man TT in 2011. Adrian has lapped at the TT at over 128 mph, but Adrian’s greatest accomplishment at the TT in his road racing career is winning back to back senior TT races in 2003 and in 2004. One of road racing’s best riders over the last 10 years Adrian Archibald retires from road racing with a proven record at winning at all the major international road races at the North West 200, Ulster grand prix, Dundrod 150 and the Isle of Man TT.